I first heard of Tribes a few months back and was instantly hooked on their 'We Were Children' track and it still remains heavy on my playlists. 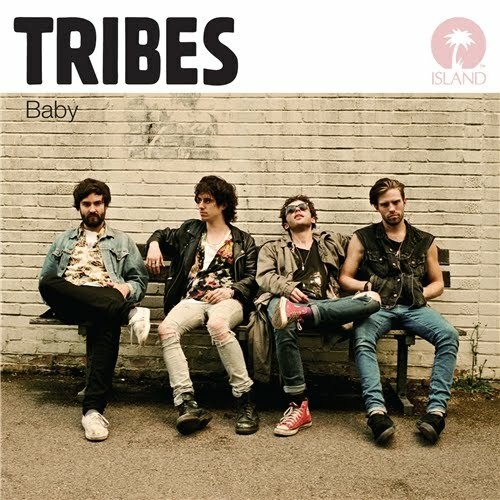 Well Tribes full length debut album, titled "Baby" is just around the corner and is set for a January 16, 2012 release date. You can listen to the newest song from the album now below and it is titled 'Himalaya' and is a fantastic tune. The song reminds me a little of early age Radiohead The Bends, as it serves up some guitar riffs that are truly magical. Check out both 'We Were Children' and the new addition of 'Himalaya' below. Sounds like a very nice album to find us in early 2012. They are getting some love from their home crowd in Camden, and now I believe they are due some love over here in the USA. For more info on Tribes also check out NME, and drop by the official Tribes website.